Over the last few months, my skin has been extremely irritated. Dry skin from the cold, reactions to strong chemicals in products… this meant it was time to clean out and change up my products. Everything from shampoo to soap had to change. Below are my new daily essentials. Obviously, shampoo and conditioner touch your scalp and wash out over your body. This was a major change for me. Step 1. I cut off about 3 quarters of my hair, removing all bleach, got a rinse out colour to match my natural colour so I could stop dying my hair, and switched to a more natural, sulfate free hair product range. 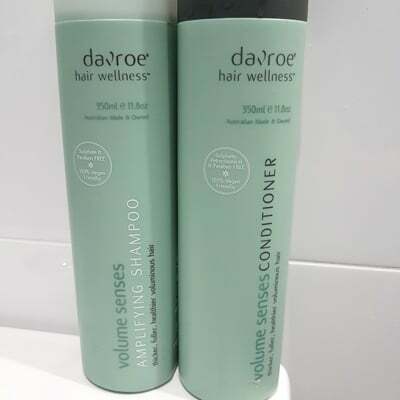 I’m now using DAVROE VOLUME SENSES AMPLIFYING SHAMPOO AND CONDITIONER. These have made a massive improvement in my hair health. I wash much less often, my hair is manageable and I use only the smallest amount of product. 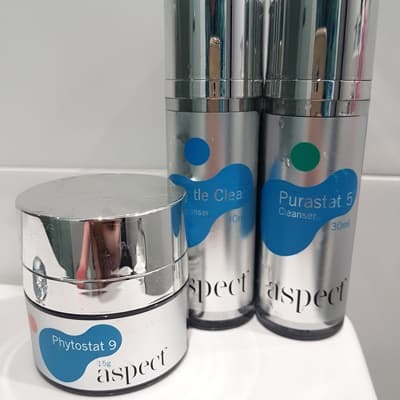 I tried out 2 skincare ranges and settled on ASPECT. Because of my sensitivities, I’m slowly introducing products into my routine. For cleanser, I alternate between the Gentle Cleanser and Purastat 5. Purastat isn’t recommended for sensitive skin, but as the ingredients are such high quality, I’ve found it fine 1-2 times a week. Serums haven’t been kind so I move straight on to moisturizer, using Phytostat 5. Again, because of my sensitivity, I’m only using my skincare once daily. For my body I keep things just as simple. Dermaveen soap free wash followed by the moisturizer. This is super important for me because I make lipstick! 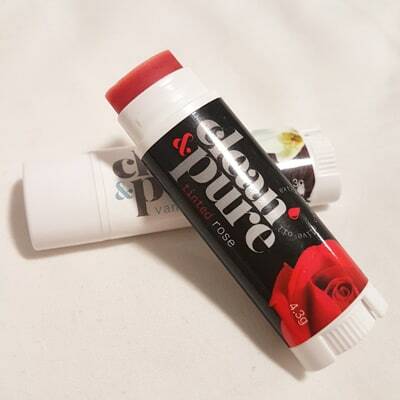 Clean & Pure balms have been my go to of late. They are made using 6 ingredients or less and are 100% natural,, making them perfect for such a sensitive area. I have 2 from the range. Vanilla, which is just your normal scented balm. Tinted Rose is the other. It has the most beautiful rose scent and a clear pink/red tint. Perfect for when you don’t feel like wearing lipstick. By simplifying my routine and using better ingredients, my skin is slowly getting back to normal. Unfortunately, my issues won’t go away with winter, so it’s important to maintain a routine that works for me. As a beauty therapist, I know my skincare should include serums and eye cream, but it’s a slow process finding what works. Everyone has a different skin type so always patch test before using something new.